Actually very refreshing after that heavy barbecue you just ate. 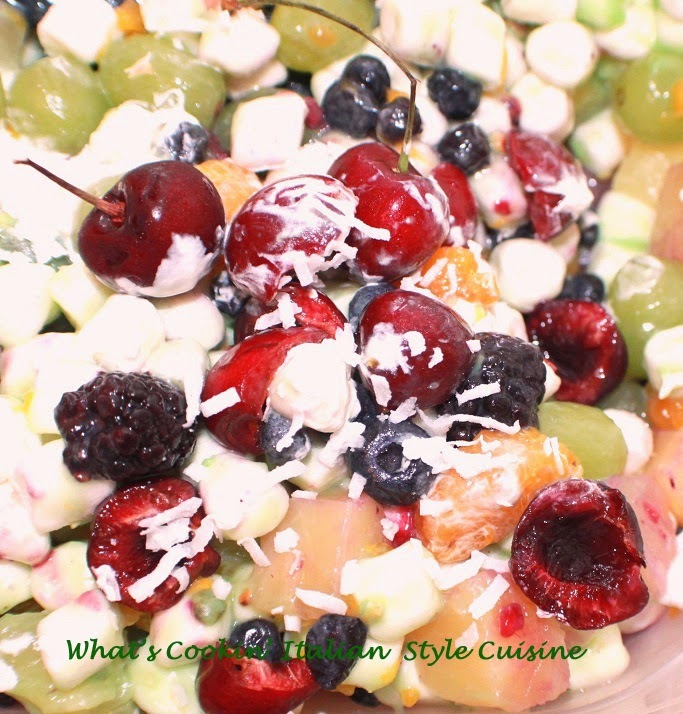 This is a festive summer dessert with fresh fruit and basic salad everyone can enjoy, even the kids will love it! In a large bowl mix the juice with instant pudding. Add all the fruits then marshmallows, fold in the whipped topping. Sprinkle with coconut. Refrigerate overnight or at least 2 hours before serving.